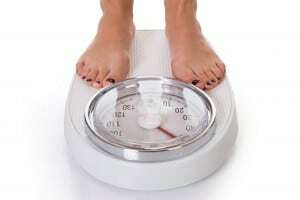 #Diet Detective’s How Bad Can One Be? I’ve been eating sesame seeds every day for the past six months. Wow, they’re high in #calories! In fact, there are 52 calories in every tablespoon. 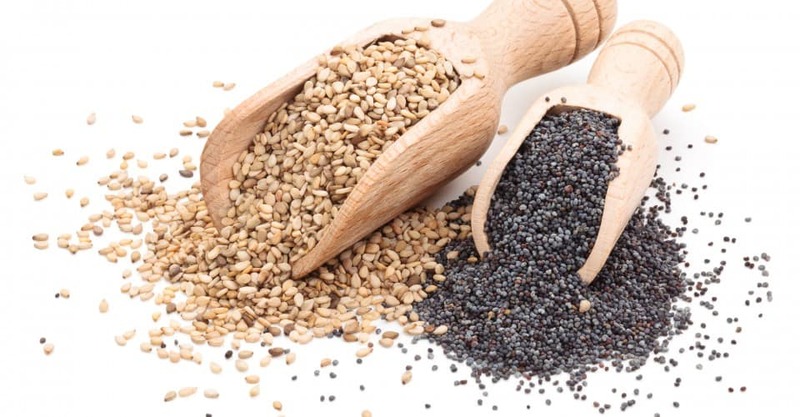 However, the good news is that sesame seeds are high in calcium (87.8 milligrams), with approximately 9 percent of the recommended Daily Value for a 2,000-calorie daily diet. They’re also surprisingly high in much-needed iron, with 1.3 mg, which is 7 percent of the Daily Value (compare that to 3 ounces of cooked top sirloin, which has 2 mg of iron and 156 calories). Sesame seeds also contain minerals such as copper, manganese, phosphorus and thiamin. And a tablespoon even has 1 gram of fiber. Poppy seeds are also much higher in calories than I thought, but slightly lower than sesame seeds at 46 calories per tablespoon. On the positive side, poppy seeds are even higher in calcium than sesame seeds (126 mg or 13 percent of the recommended Daily Value). Poppy seeds also contain magnesium (30.4 mg or 8 percent of the daily value), manganese (0.6 mg or 29 percent of Daily Value) and 5 percent of the Daily Value for iron (0.9 mg). One tablespoon of poppy seeds also contains 2 grams of fiber and 2 grams of protein. Sun Chips are no calorie bargain at 8.75 calories per chip, and, believe it or not, even though they’re made with whole grains they also have added sugar, which regular chips do not. However, Sun Chips do have 3 grams of fiber per ounce (about 16 chips), as compared to 14.5 calories per chip and 1 gram of fiber per ounce (about 15 chips) for regular chips. The Sun Chips manufacturer used smart marketing concepts, and, as a result, these chips have a real #health halo. People think Sun Chips are the healthy choice. In reality, however, they’re a decent alternative, but they’re still chips. How did Sun Chips, a division of Frito-Lay (owned by Pepsi) create this health halo? For one thing, the chips are made with whole corn, whole wheat and whole oat flour, so they’re not potato chips. And also the company was one of the first to create a biodegradable chip bag. According to The Wall Street Journal (and the company), however, five of the six Sun Chip flavors now come in packaging that’s not biodegradable. Why? Apparently the biodegradable bags were too noisy. Popchip. Each chip is only 5.25 calories, and they have 1 gram of fiber per ounce (about 22 chips). Also, they do not contain any saturated fat. But again, if you eat an entire bag you’re still up there in terms of calories. A regular small bag has 100 calories, and the larger, 3-ounce “share” bags have 360 calories total. Yes, this is a better alternative if you are a regular chip eater and are trying to reduce. But keep in mind that we often end up eating more of foods we think are healthier, which of course defeats the purpose. Clearly the gum ball is not the “healthier” choice. Macadamia nuts have about 20 calories per nut, and, believe it or not, a Dubble Bubble Gum Ball also has 20 calories. Macadamia nuts have the most calories of almost any nut, so they’re probably not your best nut choice. But they do have a large amount of vitamin B – thiamin. In addition, macadamia nuts have heart-healthy monounsaturated fat and a decent amount of antioxidants (but not as many as walnuts, which, according to researcher Joe Vinson, Ph.D., a professor at the University of Scranton, is the top health nut). Tic Tacs used to advertise that they had only 1.5 calories each, but they’re a bit larger now and roughly 1.9 calories each. The Oscar Mayer Honey Ham has 23 calories per (21 g) slice with only 0.4 g saturated fat and 253 mg of sodium. One (28 g) slice of beef salami has 75 calories, 2.5 g of saturated fat and 290 mg of sodium. And one slice of the Citterio sandwich pepperoni has 150 calories and 420 mg of sodium. If you’re looking for deli products that don’t contain nitrites, try Applegate Farms (www.applegatefarms.com).